ENTRO IS THE PREEMINENT WAYFINDING AND BRANDING FIRM specializing in environmental communications. Their guiding philosophy centres on the powerful ways that space, graphics, and media combine to enhance the human experience. 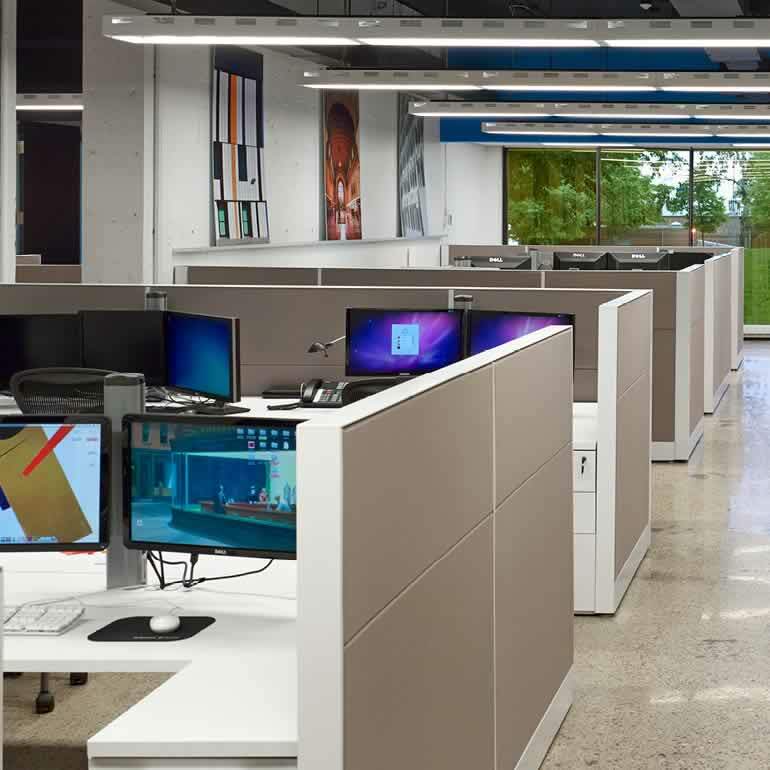 For a company whose work is about connecting people to places, the design and construction of their Toronto headquarters needed to walk the talk and be an exemplar of a human-centric facility that supported a collaborative, open working environment. But there was a challenge: Their new offices weren’t built that way. With a wherewithal to see around corners, Quoin’s approach to removing ‘the corners’ of this new space was twofold: working with the municipality’s building department to secure the appropriate permits and then partnering with the client and designers to construct a spectacular, dynamic work environment. The results speak for themselves: An ARIDO Design Award of Excellence for the new Entro offices – and a more productive, engaged, and collaborative team. The Entro space was actually three boxy partitioned units that we had to convert into a single open environment. Simple enough, one might think, but the pre-existing offices were designed and built as independent units, each with its own mechanical, and electrical systems. Architectural considerations had to be made to unite these separate rectangular offices within the larger commercial condo building.